"We had a lovely 3 week stay. This well appointed loft apartment was perfect for an extended visit. We were able to navigate the city easily via tube and bus. There were many nearby shops and..."
"The apartment was cute. The neighborhood was fabulous. Ellen was perfect. We are already talking about coming back, and will definitely use London Perfect again." "My daughter and I stayed at the Queensgate and from the first moment we walked in the door we felt like the apartment belonged to us. It was immaculate, cozy, well equipped, decorated to our liking..."
"Delightful space and wonderfully efficient. Loved the neighborhood. Shall stay there again." "Stayed here with one adult and two children. It worked out great for us. Super location and fabulous to have a kitchen. The staff was lovely and helpful anytime we needed anything." 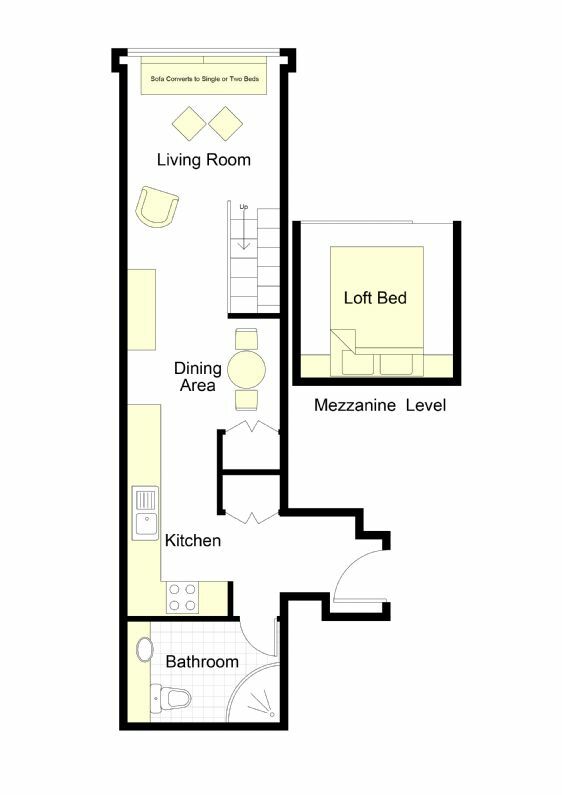 Welcome to the super conveniently-located Queensgate loft studio! 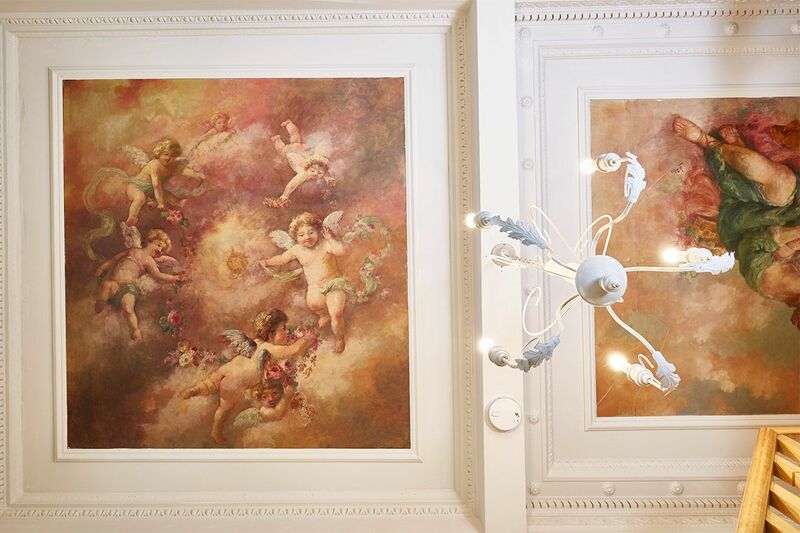 Located in a beautiful white Victorian building in South Kensington, walk up a short flight of stairs and step into the building to see the original inlaid tile floors. Enter this cozy apartment to find the bathroom on your left and kitchen directly ahead. Turn right and the dining and living room with large windows are straight ahead. 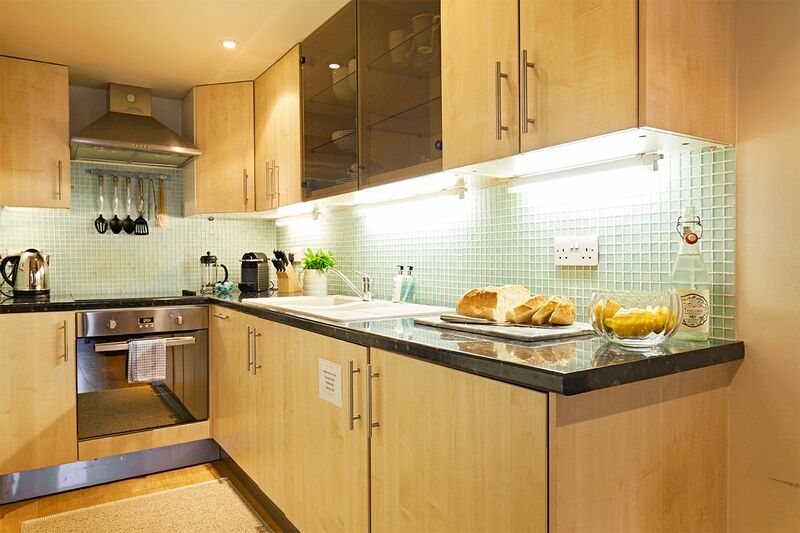 It is a budget-friendly apartment and sleeps up to three people - in a fantastic location. 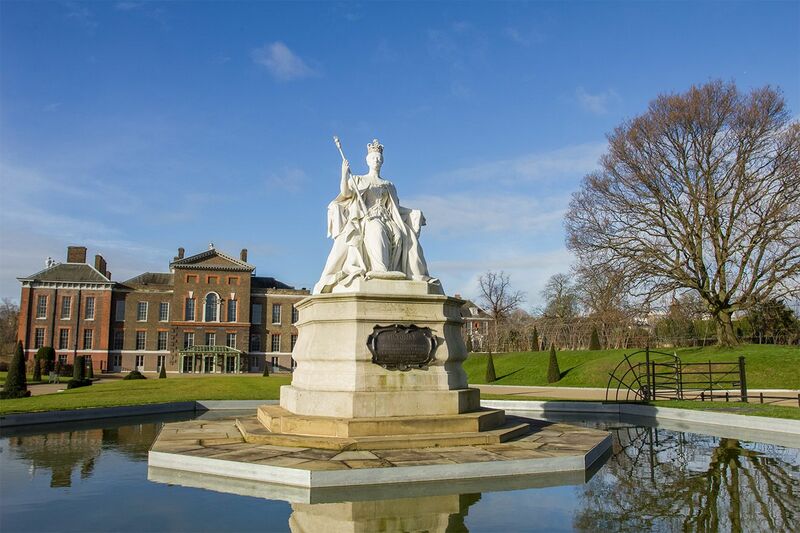 South Kensington is a distinguished neighborhood and the apartment is moments from Kensington Palace, Museum Row, and Hyde Park - the West End is also within reach by Tube, a direct line to the theatre district. Let us organize tickets to the latest West End show or to see a performance at the impressive Royal Albert Hall and tuck into some delicious oysters at the Wright Brothers South Kensington. 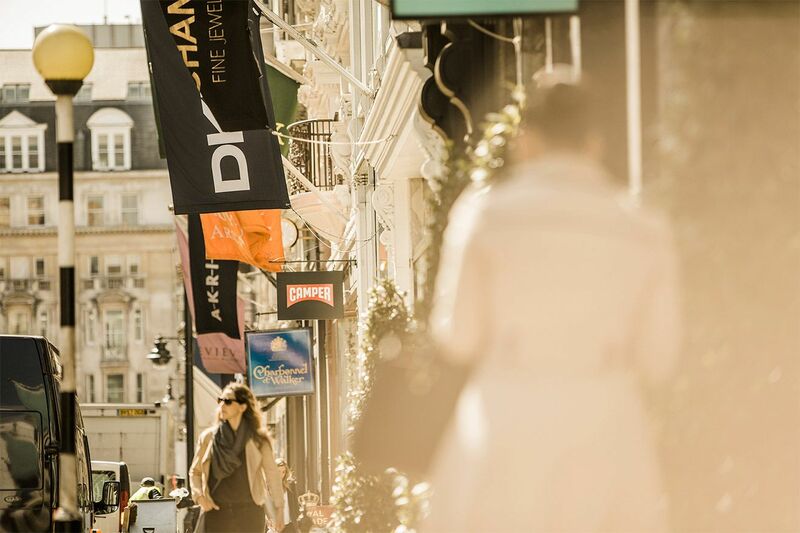 You’ll love shopping nearby on Kensington High Street, with its hundreds of design boutiques and stores. There's a large Marks and Spencer, and a Whole Foods with a great selection of fresh produce. 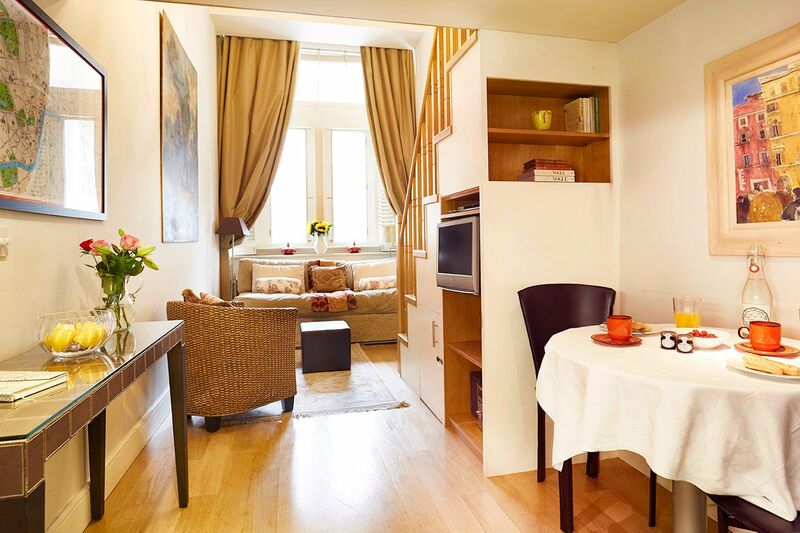 While compact, the apartment has been beautifully remodeled and offers every comfort. 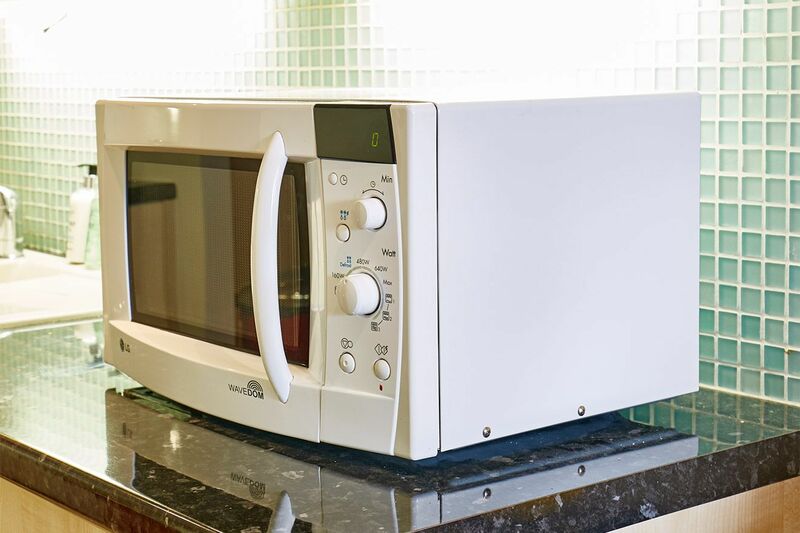 The price is great compared to small hotel rooms and you'll save a lot food shopping at the nearby supermarket and dining in. 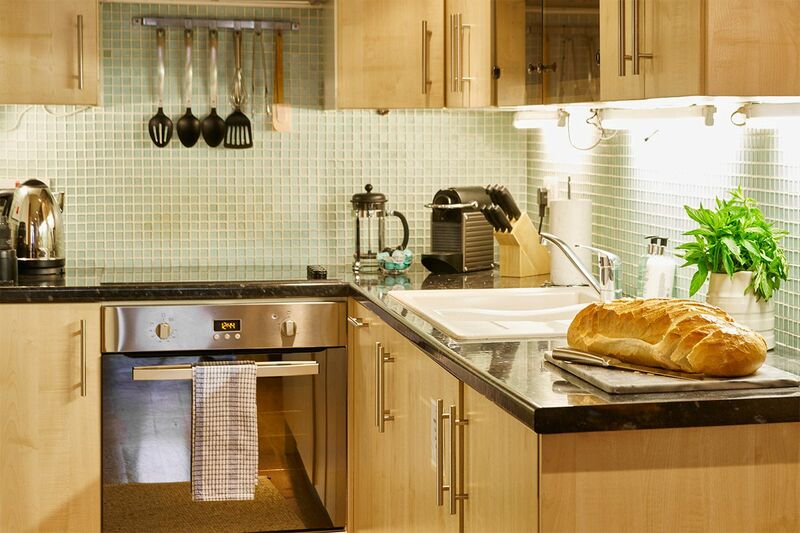 Best of all, the location is ideal in the most sought-after neighborhood in London. 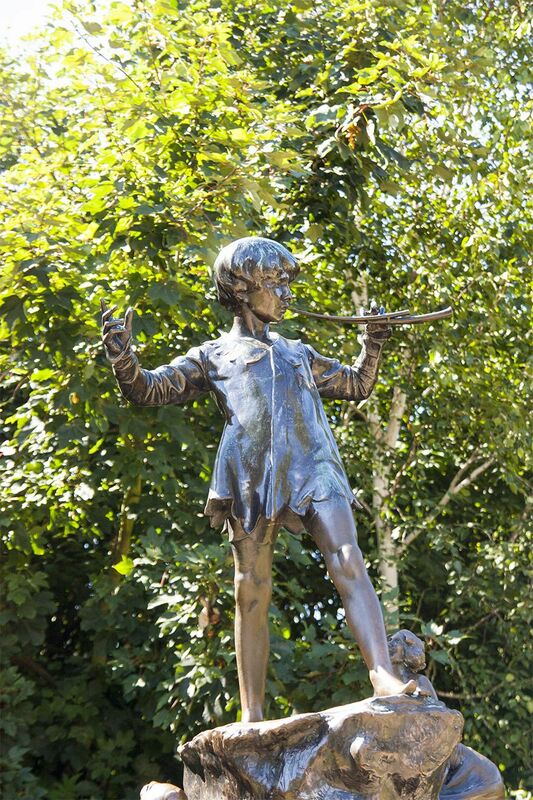 Click here to see why South Kensington is the perfect neighborhood. 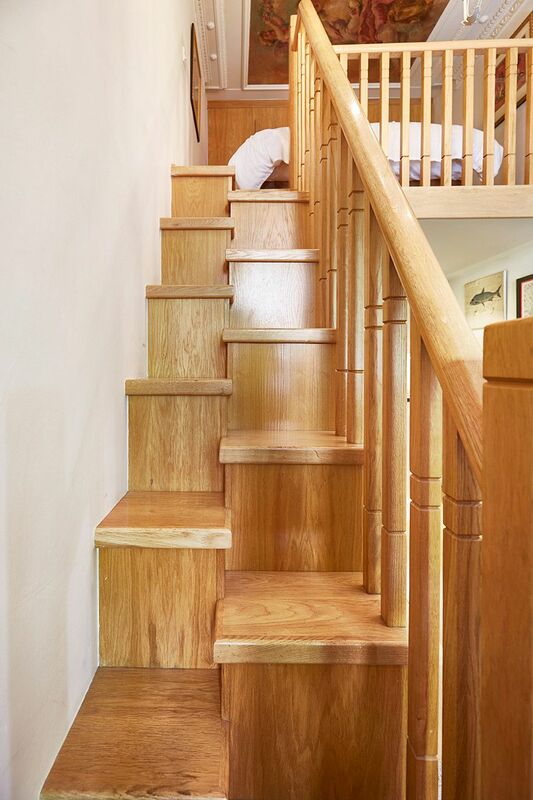 Please Note: The bedroom is located on the loft-style mezzanine with access via alternating riser-style stairs. Please note: This is a loft-style studio so there is also a steep staircase with alternate risers leading up to the bed. The loft sleeping area is not recommended for elderly people and people with disabilities or any mobility issues. Heart of Kensington! 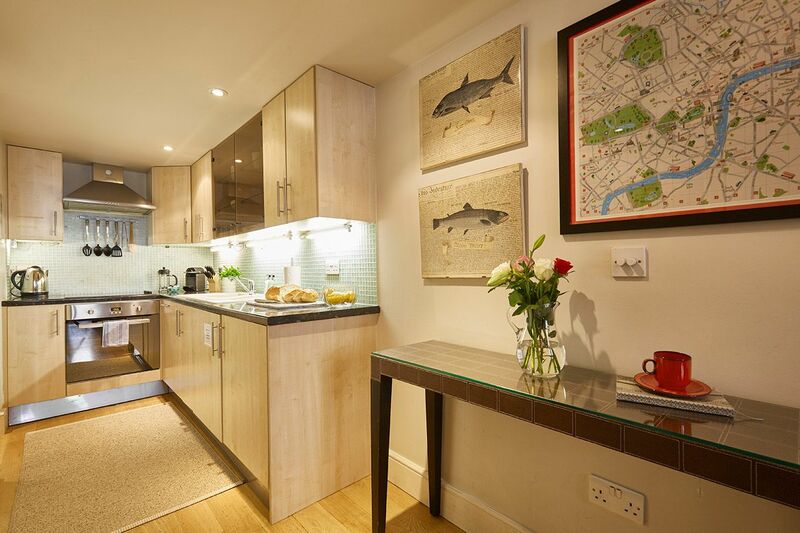 Excellent location in London, just across from Imperial College and one block from the Natural History Museum. 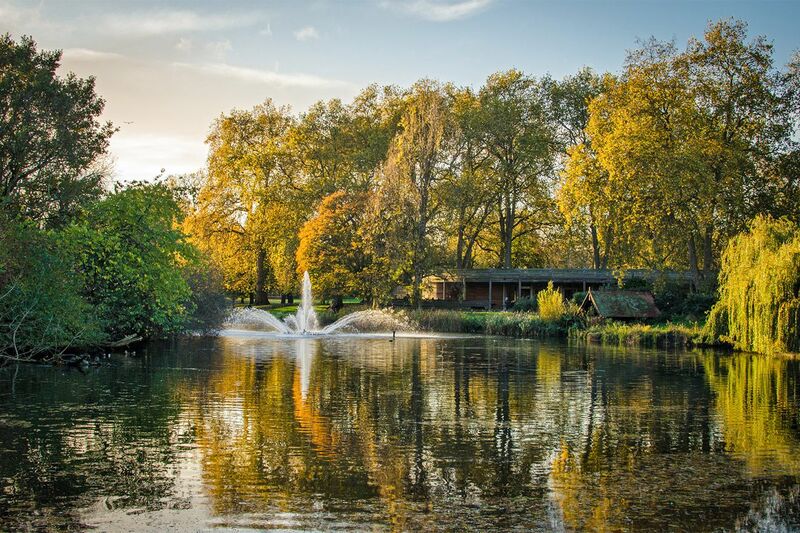 You're two minute's walk from Kensington Gardens. 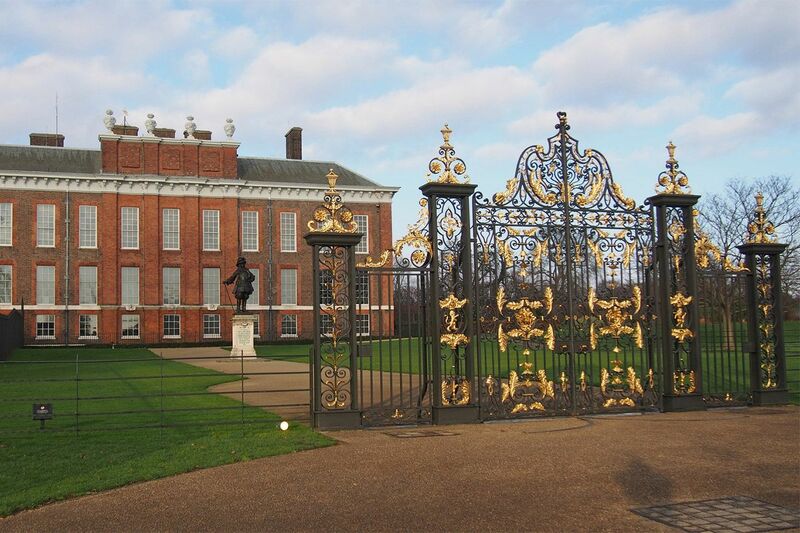 Kensington Palace is located here, where Princess Diana lived. Visit the displays of Diana's ball gowns which you'll recognize from movies and photos. There are displays of debutante gowns from Victorian times, when young women were presented to the Queen. 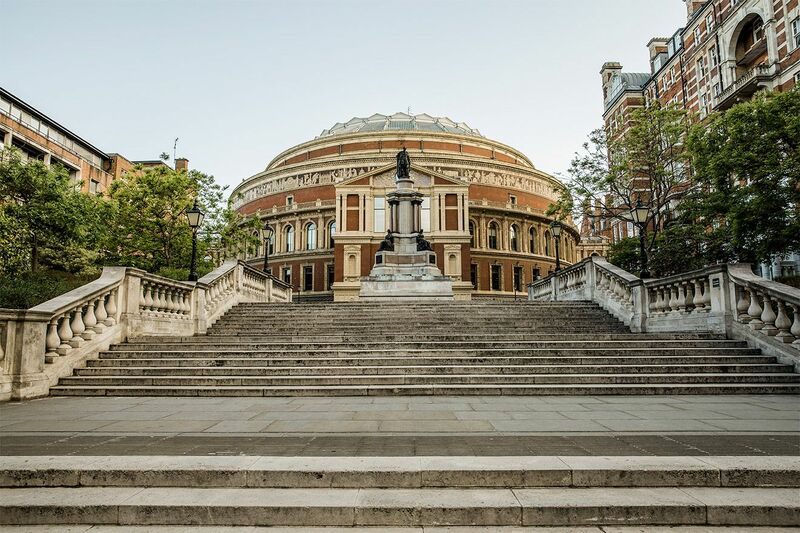 The Royal Albert Hall has concerts all year long and is three minutes away. Public Transport: Gloucester Road Tube - the tube takes you direct to many London sites such as Tower of London, Big Ben and Westminster, Covent Garden, Theatre District, British Museum and more. 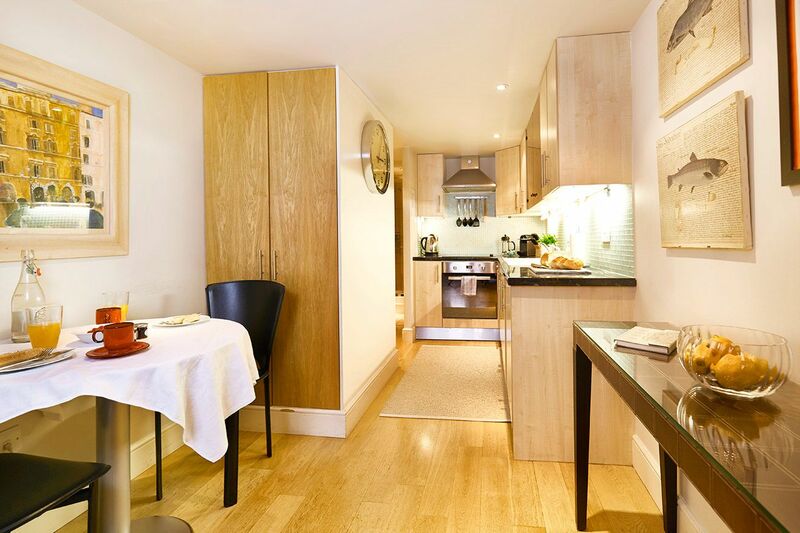 We hope you had a wonderful stay in our The Queensgate Studio Loft apartment. Please take a moment and click here to share a review of your experience with us. "We had a lovely 3 week stay. 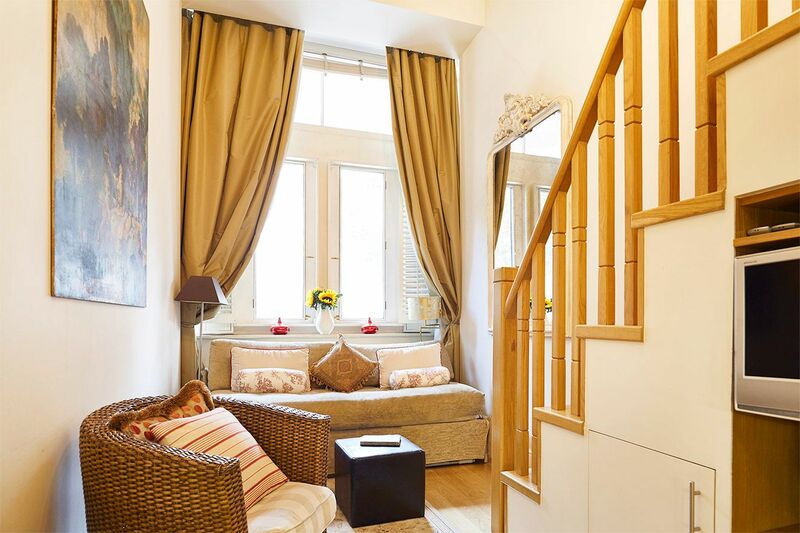 This well appointed loft apartment was perfect for an extended visit. We were able to navigate the city easily via tube and bus. There were many nearby shops and restaurants, as well as museums a few blocks away. The apartment was quiet, clean and well maintained, and..."
"My daughter and I stayed at the Queensgate and from the first moment we walked in the door we felt like the apartment belonged to us. It was immaculate, cozy, well equipped, decorated to our liking and was in a beautiful neighborhood (felt like Park Ave in NYC). Our greeter was well informed, the..."
"My wife and I came to London for a 6 day stay for a vacation. We wanted to be close to a tube stop in a nice neighborhood without spending a fortune. 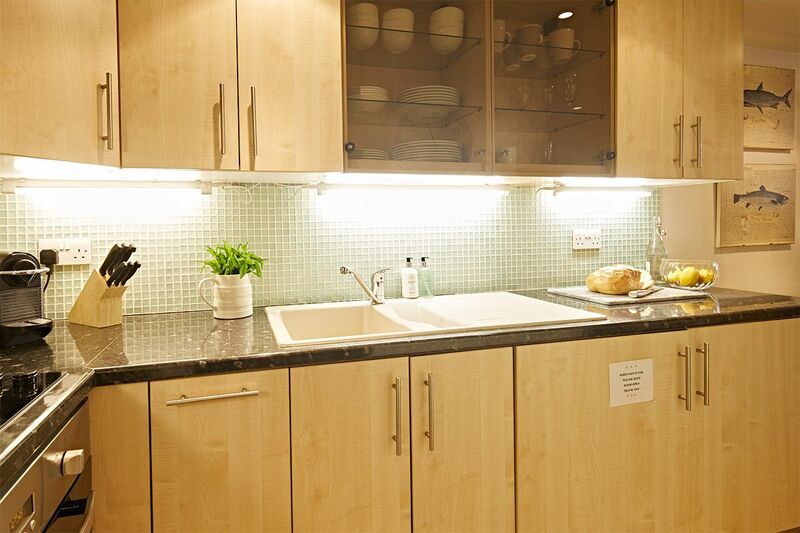 The Queensgate Studio flat met all of our criteria. 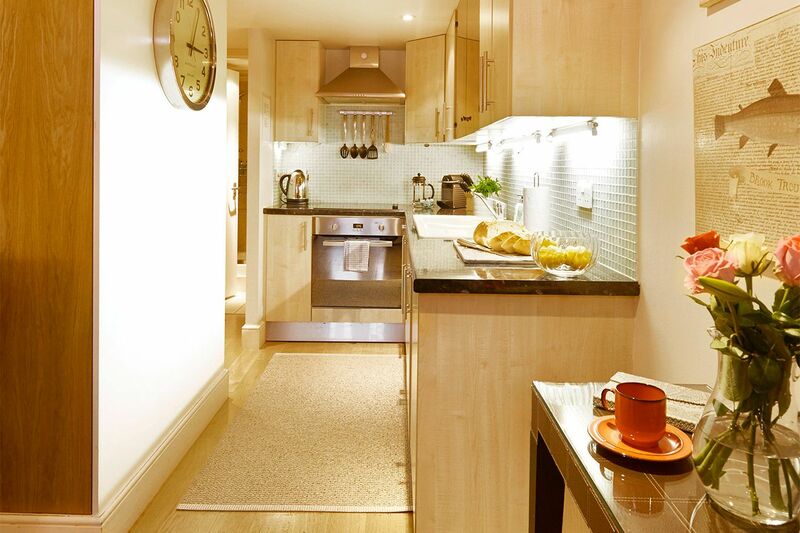 In South Kensington within a 5 minute walk to the Gloucester tube stop (Circle, District and..."
"The Queensgate apt. was lovely. 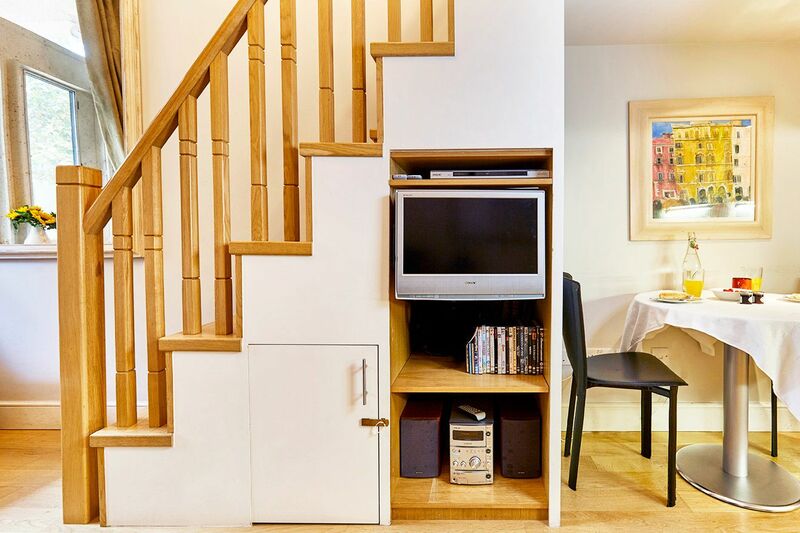 The perfect location for a London stay. The painted ceilings in particular were a beautiful surprise. I am always impressed with the carefully thought out detail put into each apartment. I have high standards for accommodations and Paris/London Perfect has never..."
"We wanted to extend our thanks for another 'perfect' stay with LP. We are never disappointed with Paris Perfect and now London Perfect. Thank you so much for being such a quality company. Every detail is thought of and available. It is wonderful to have a clean safe and tasteful home away from..."
"These ceilings are amazing and so was your staff. Big thank you to Daniel, Ed and Oksana for making our stay more enjoyable and comfortable. Perfect loft studio for two. Our son who works in London also had room to sleep with us a few nights. Close to two tube stations ( South Kensington and..."
"Great location, close to Hyde Park, V&A, Gloucester Road tube station (buy the Oyster card!). Many attractions are within walking distance. 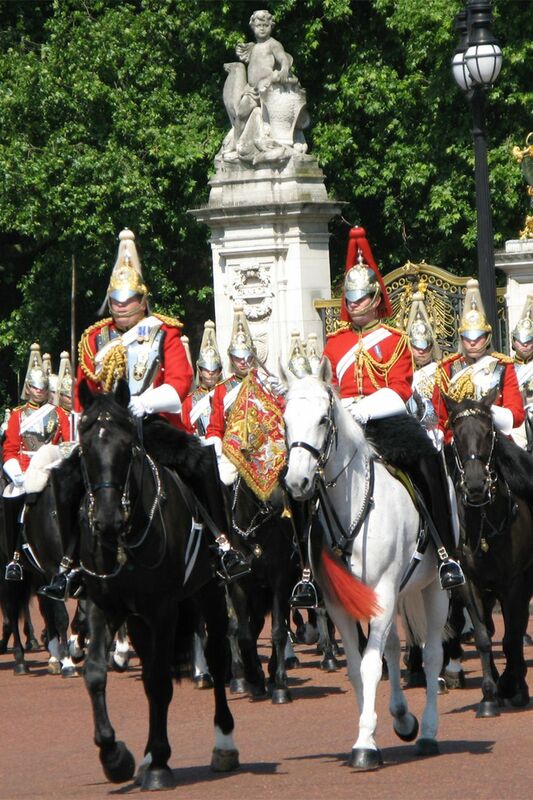 Enjoy a nice walk to Buckingham Palace, etc. 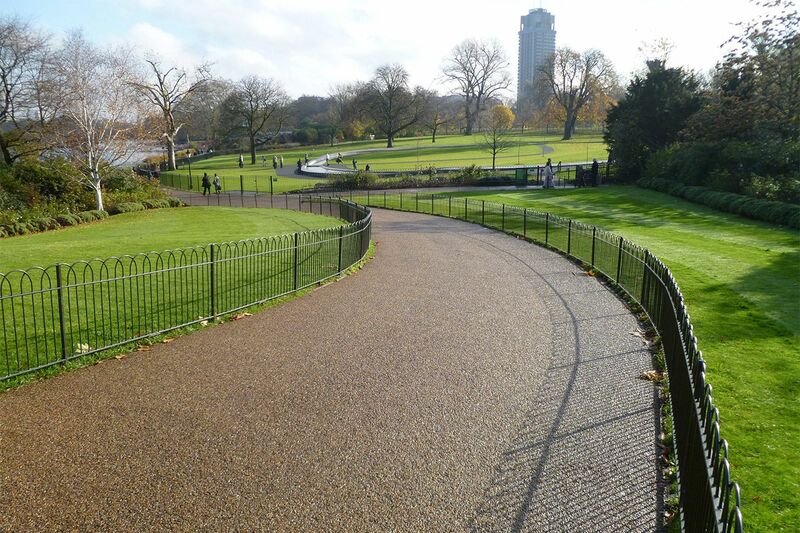 via Hyde Park. Near several embassies, universities, safe to walk at night. "This is our second time working with London Perfect and the service and quality are as perfect as our first trip. From the smile and professionalism of Lushi who greeted us at the airport and took us into London, to the warmth and hospitality of staff who prepared Queensgate beautifully, to the..."
"This is our second time at a Perfect location ( Paris 2013) very nice accomodations. Nicely appointed and amentities, ie soap, coffee,paper towels, etc. We are very comfortable in London, so we did not need to use the office staff, but its nice to know they are there if needed. I strongly rec'd..."
"We very much enjoyed our stay at Queensgate. While we chose it for proximity to the V&A museum, its Tube links were great, making it easy to get around London. A bonus was being on the same Tube line as Kings Cross for ease of access to St Pancras and the Eurostar. "We absolutely loved it! Apartment was lovely...decorated beautifully in every way (and I am an Interior Designer)! Location was perfect...the street is beautiful and safe! But mostly the service from London Perfect was just that... perfect! They were professional in every way and went well..."
"This is our family's second stay in the Queensgate Loft in the past two years. 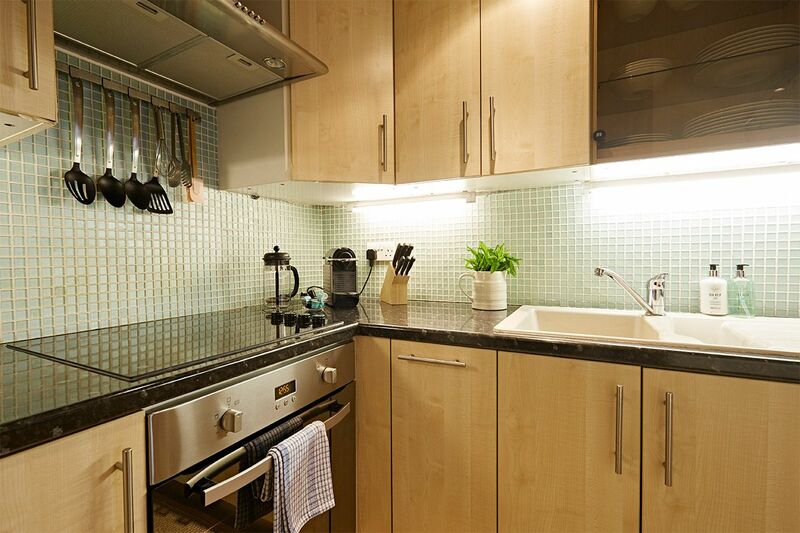 This flat is in a great location and within easy walking distance to the Tube, Kensington Gardens, shopping, restaurants and museums. 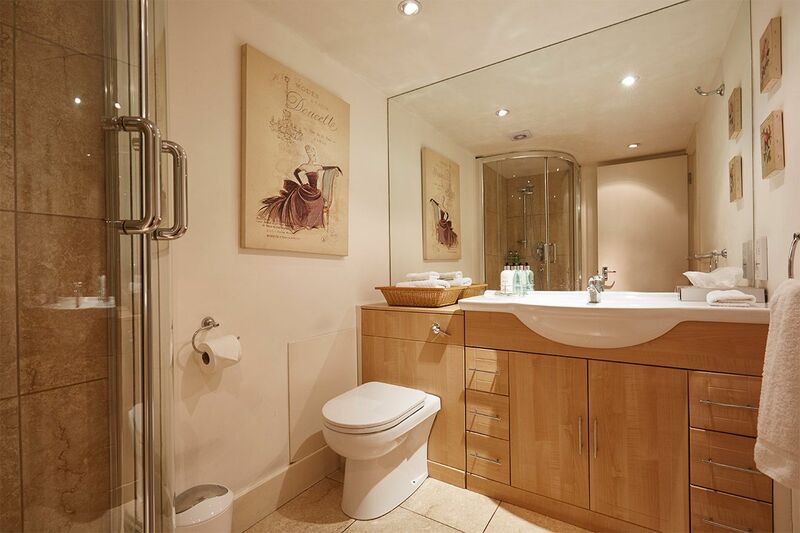 The apartment is extremely comfortable, clean and has a wonderful large bathroom and..."
"My daughter, her friend and I had a lovely time in London. London Perfect makes the lodgings so easy. The studio apartment was in a great location and had the basics that we needed when we were tired of touring. It's such an easy way to travel. The best part of London Perfect, and Paris Perfect,..."
"Second time using "Perfect" other was in Paris. 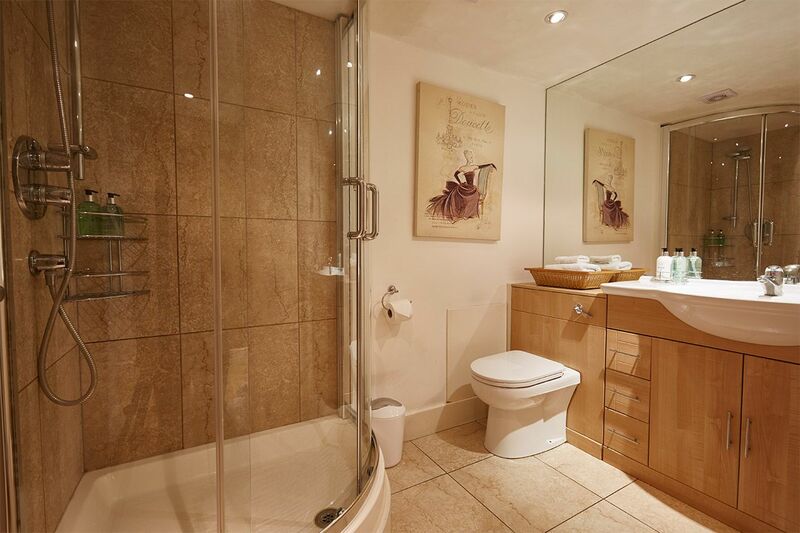 The Queensgate loft was just about perfect for three. The apartment is well equipped, nicely decorated, and very close to transportation, and some attractions. The only issue during the last three nights of our stay was hot water, but they..."
"I had a great stay at the Queensgate apartment. It was the perfect fit for me. It was nice, clean and modern. It had everything I needed and after a long day of sightseeing, I appreciated coming back to a nice comfortable bed! Hopefully I will be back soon and can stay there again!" 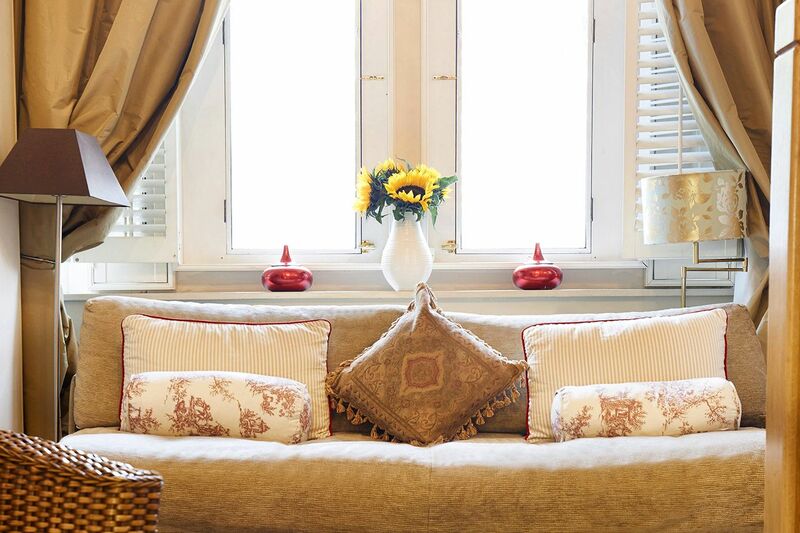 "The apartment was tiny but well furnished, well equipped and spotless. Steps to loft looked challenging but worked out fine. We took our 11 year-old granddaughter who slept in the sleeping couch downstairs. 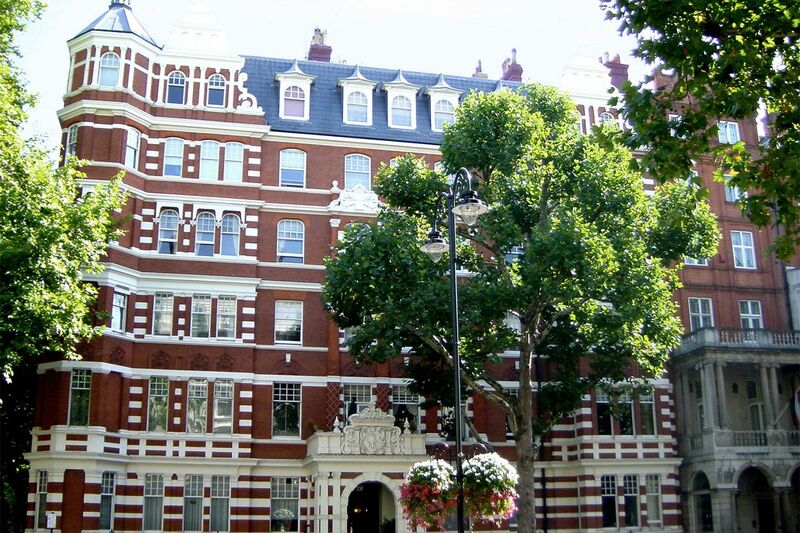 Great neighborhood and location near Kensington Park and many restaurant choices on..."
"We loved our stay at the Queensgate apartment in South Kensington. It was very comfortable, clean and in a great location. It was quiet and a short walk to Kensington Gardens and to the Tube. Lots of restaurants and grocery stores nearby. 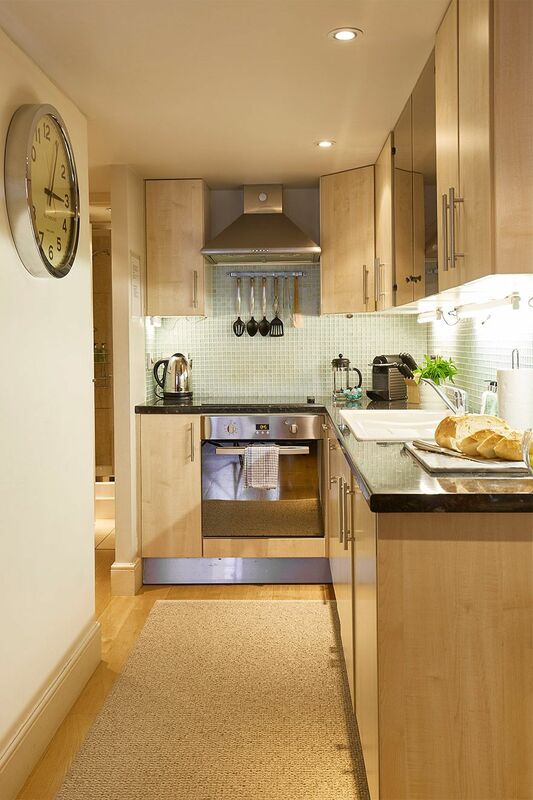 We felt very comfortable in our apartment after a long day..."
"We had a wonderful stay at the Queensgate studio loft. Great location and everything was perfect in the apartment." "Perfect location. 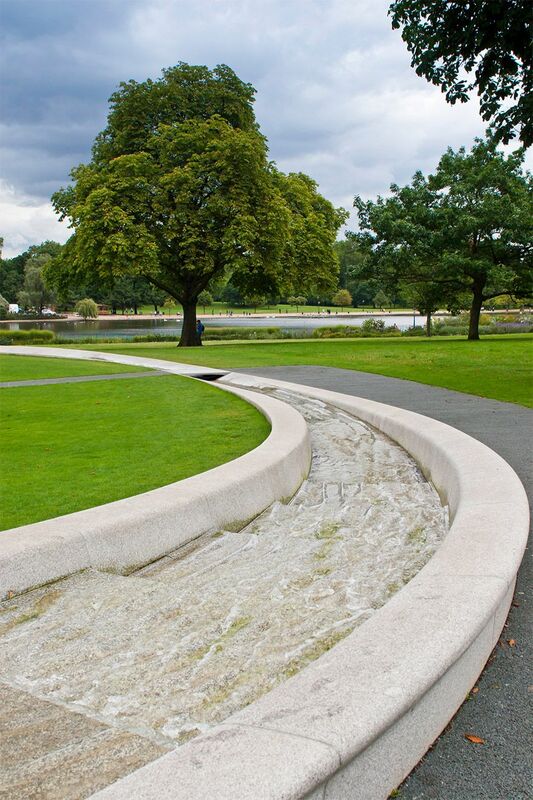 Very convenient for walks in Kensington Gardens and the Gloucester Tube Station was just about a 10 minute walk. The apartment was very comfortable and all the necessary amenities (except for a coffee maker)." 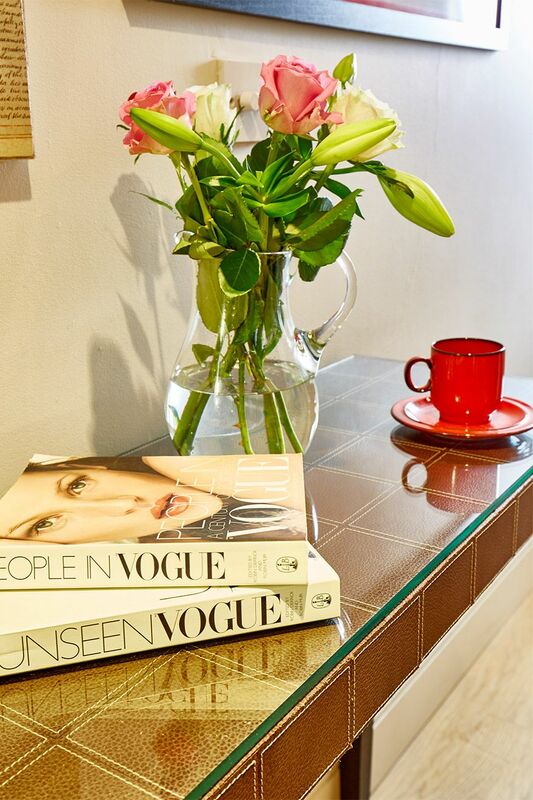 "We really enjoyed our stay at the Queensgate Studio Loft! 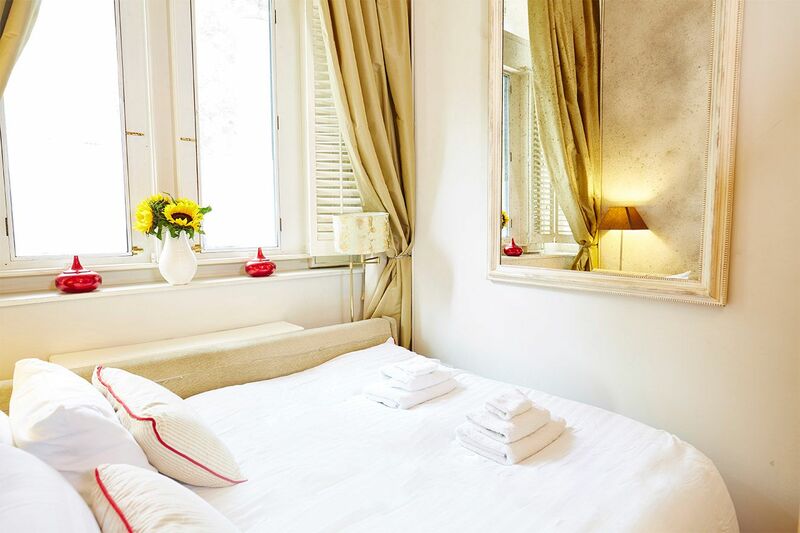 Having stayed at two Paris Perfect apartments we knew the accommodations would be nice. My daughter and I enjoyed the location, the decor, and the large bathroom. Your friendly staff welcomed us at the apartment and provided valuable..."
"My daughter and I had a wonderful week at the Queensgate Loft. The apartment, though small, was perfect for our needs. Everything we needed was provided and in excellent condition. After very long days the comfortable bed was indeed appreciated! We loved the neighborhood which had easy access..."
"Thank you very much, my mother and her friend had a wonderful time!" 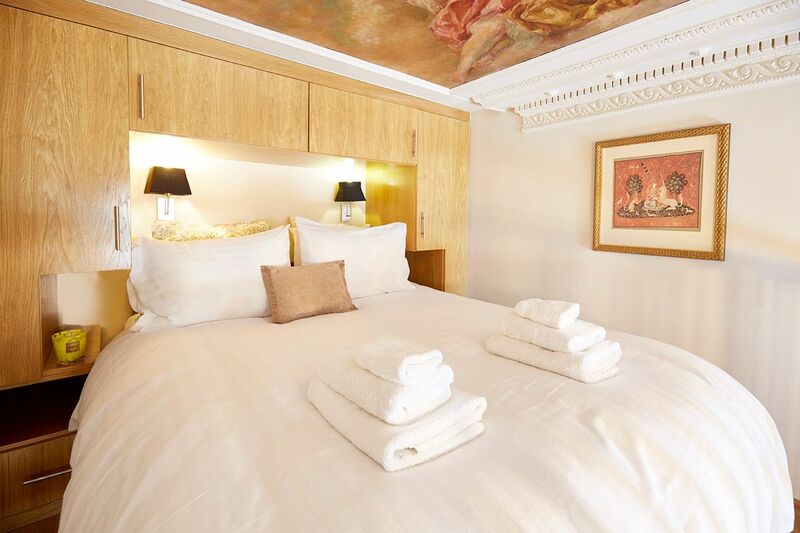 "Queensgate was perfect for the week my husband and I spent in London. This compact yet comfortable flat takes advantage of every inch of space. We enjoyed the location and quickly got the hang of getting around on the tube and the city bikes." "I truly experienced a I wonderful time in you're great city!! The apartment was very good.......at times a bit warm inside due to the high humidity, but none the less, met all of our expectations. I would have no hesitation in recommending your properties to colleagues & friends. I will..."
"My husband and I could not have been more pleased with our recent stay at the Queensgate loft. Everyone at London Perfect was quick to respond to email questions, and they were incredibly accommodating of our needs when it came to our infant son. Booking Lushi to take us to and from the airport was..."
"Fabulous accommodations! The sites were so easily accessible through the underground! It was a pleasure to return here each evening after a day of sightseeing. We hope to return." "Wow! What a great place to stay while visiting London. Our daughter is studying in London for a semester at Imperial. This was close and convenient to everything. High Street Ken, Hyde Park, the theater district, shopping etc. It's all so close. If you like tennis the tour of Wimbledon was AMAZING...."
"We enjoyed our visit here with our daughter, now living in the UK. Great location - well equipped digs. Hope to be back!" 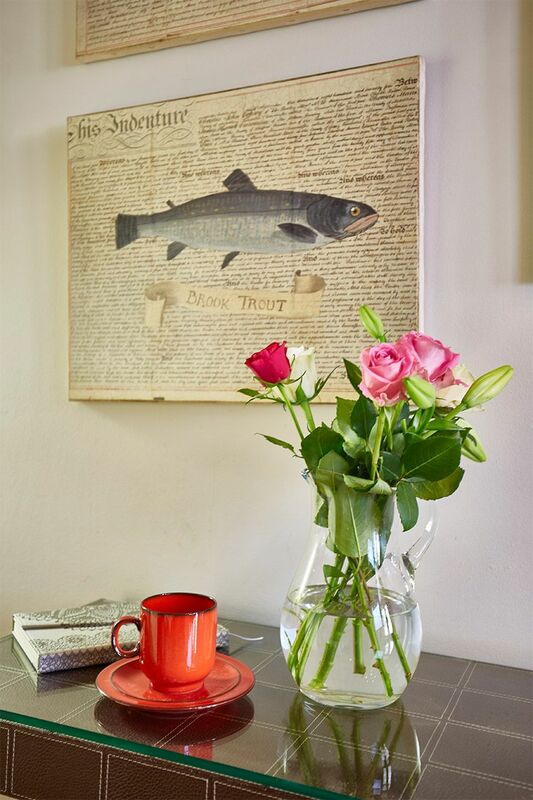 "I had a most lovely stay at The Queensgate Studio Loft. It was clean and contained all one would need for a pleasant stay. It was just the right sized flat and most conveniently located to museums, shops, and the tube. As well, it was a good neighborhood that was located to that oh, so wonderful..."
"We had a wonderfully busy week in London. 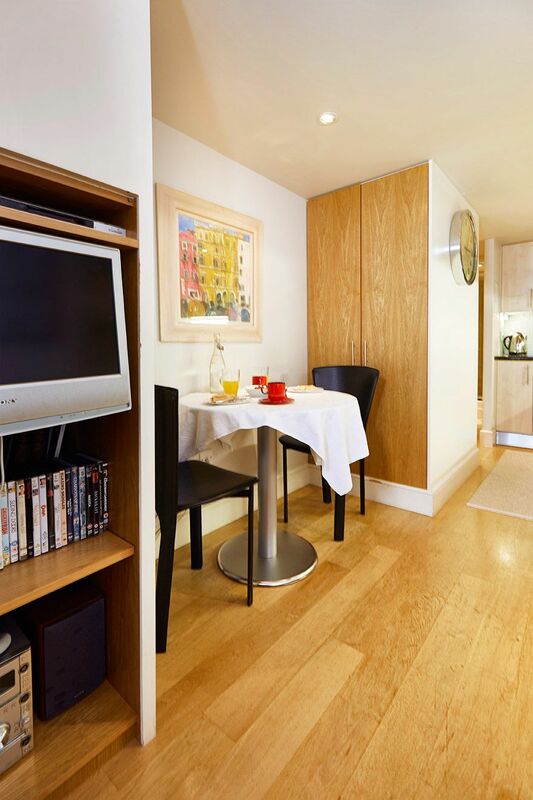 This apartment was very central with excellent access to the tube and buses. 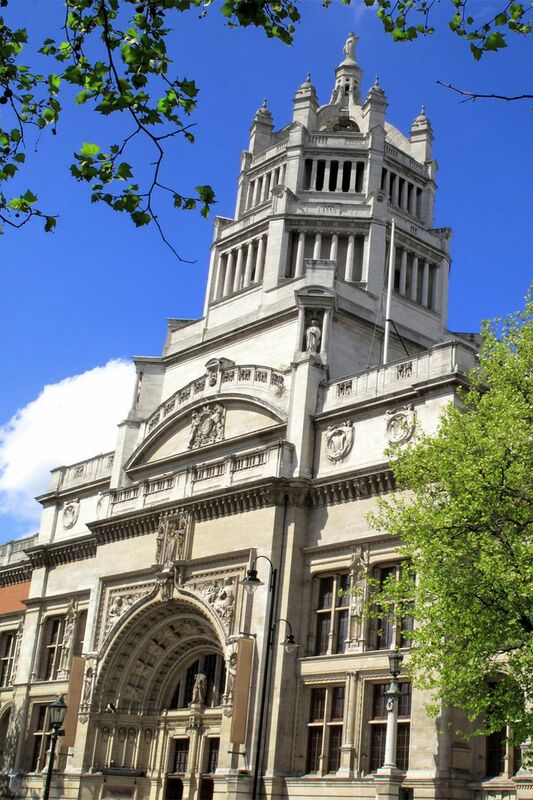 We have walked everywhere and loved having the V & A as our local museum. The Hollywood Fashions exhibition is outstanding. We did a day trip to Bath which we loved - what a..."
"What a wonderful week! Our stay couldn't have been more perfect. The condo was so convenient and the tube was easy to use. Enjoyed the local pub and restaurants. Enjoyed the many beautiful parks and people watching. Would recommend the trip to Stonehenge - it was amazing. Thank you again for your..."
"We had a wonderful week in London! This flat was a great base from which to explore - very convenient for the tube and for walking. 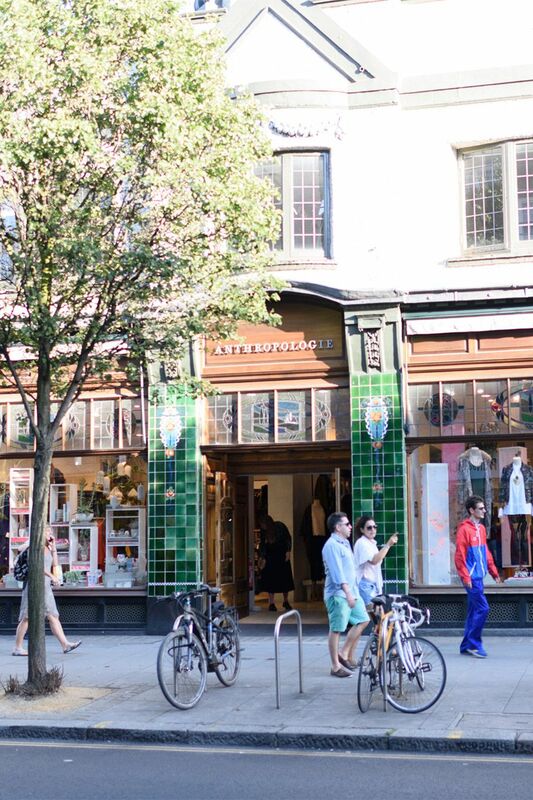 Our favourite neighbourhoods to explore included Notting Hill and the West End. Very much enjoyed sitting in pubs and cafes and chatting with Londoners - made afew new..."
Our first time in London has been a joy and this convenient apartment..."
"Great Apartment! Fabulous location! Everything was brilliant! Thanks for your hospitality (smiley face!)." "We have returned home after a simply wonderful week in London. We loved the Queensgate apartment. What a clever use of space! It was very comfortable for the two of us and we got the hang of the stairs right away. Your restaurant recommendations were great. 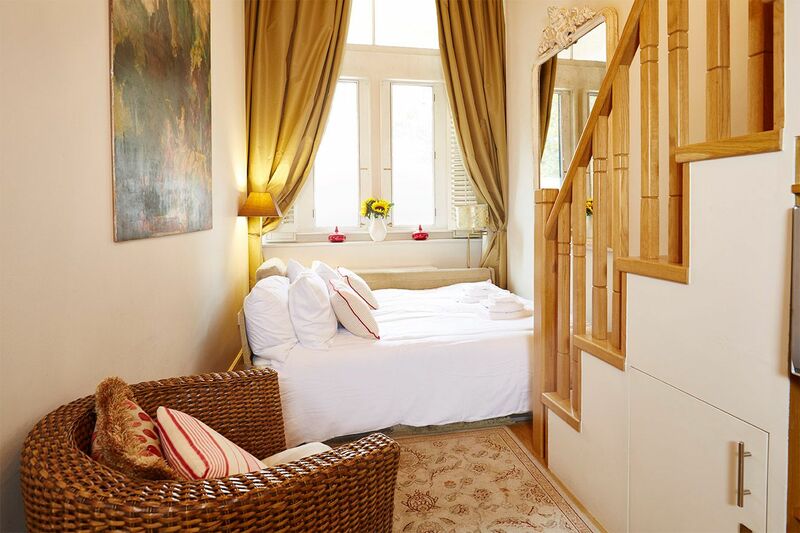 We loved both Clark's and..."
"My 19 year old daughter and I thoroughly enjoyed staying at the Queen's Gate. We couldn't have stayed in a better location and the apartment was lovely. It had everything we needed and the booklet of information came in very handy. We tried many of the suggested restaurants and enjoyed all of..."
"We were extremely pleased with the flat. The location was outstanding - close to the subway, stores, restaurants, parks and museums. The flat was beautifully decorated, very clean and had everything we needed including loads of information about London and our neighbourhood. Our only suggestion..."
"We enjoyed the Queens Gate apartment very much. It had everything we needed and was delightfully decorated. The stairs were a bit tricky, but other than that, it was great. Close to the tube and lots of places were within walking distance. Madelyn sent us tons of helpful information and we were..."
"This is a lovely flat in a fantastic location. Two tube stops within extremely easy walking distance (5 min)and black cabs pass frequently. The loft is exactly as depicted on the website - clean, compact, and perfect for a vacation stay. 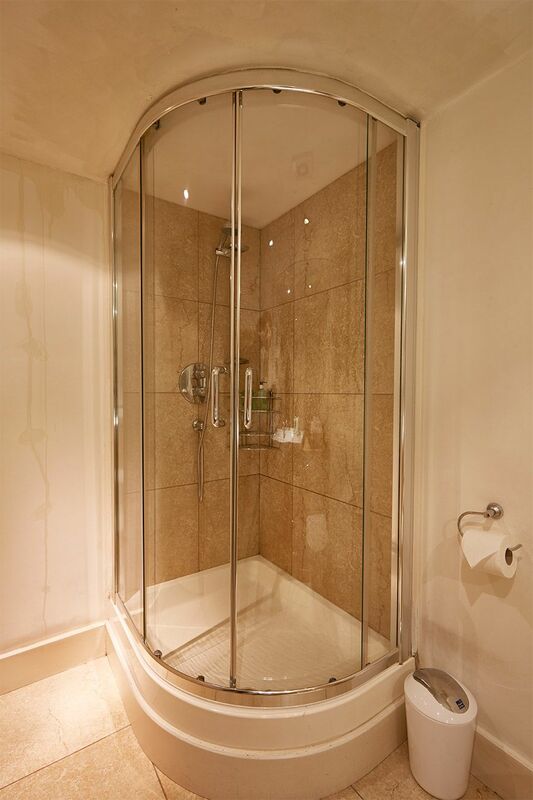 The linens are great (towels are John Lewis), and even..."
"We cannot recommend the Queen's Gate Studio Loft enough. Beautiful furnishings in London's best neighborhood. 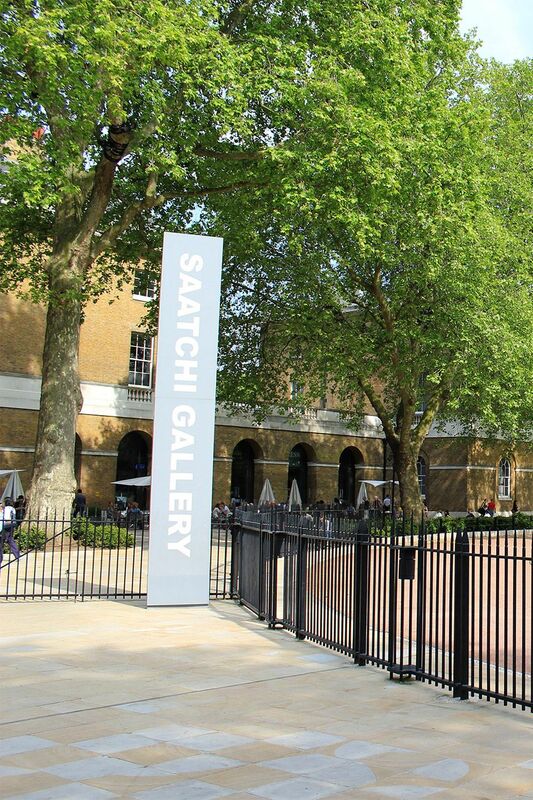 Just across the street from the Natural History Museum and a few blocks from Kensington Gardens. We will definitely stay here when we return to London. Loved the kitchen and bath, free..."
"The apartment was lovely and in a great location. 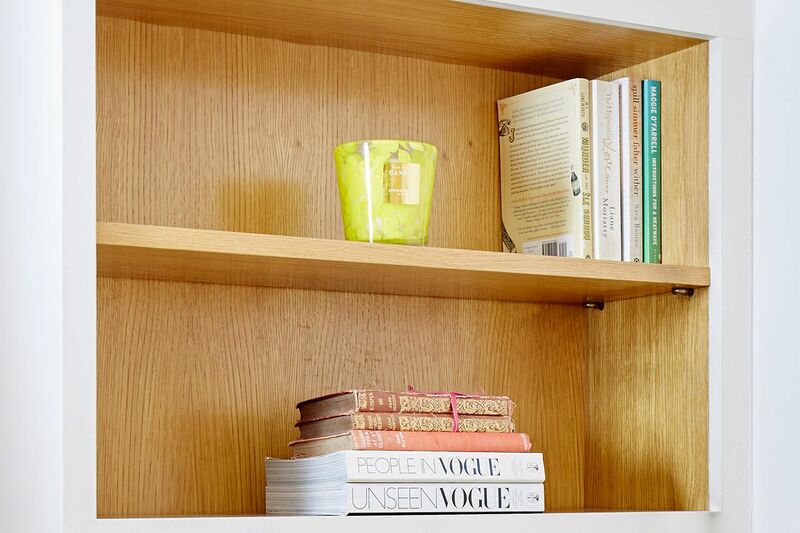 "Although small, this immaculately clean and well-appointed apartment never felt cramped. 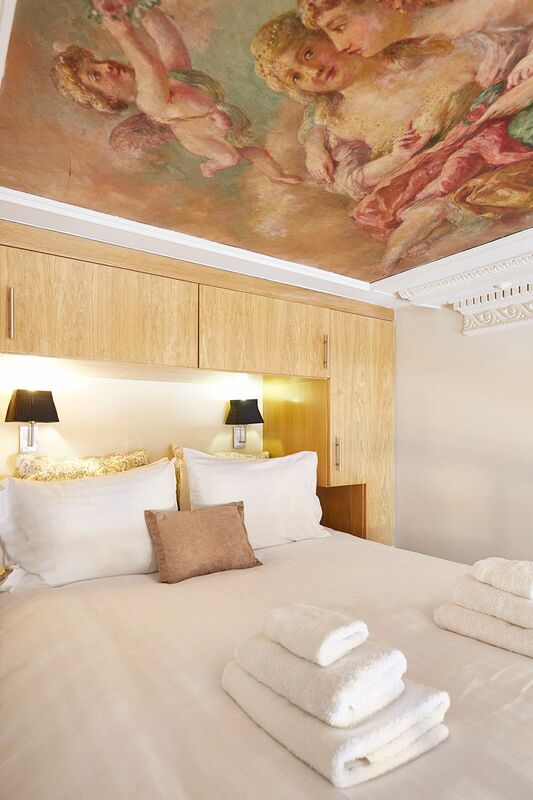 Sleek, modern furniture and fixtures combine well with elegant ceiling and wall paintings in keeping with the building's refined history. Excellent neighborhood always felt safe. "Location: Excellent. Across from Natural History Museum and near V&A museum. 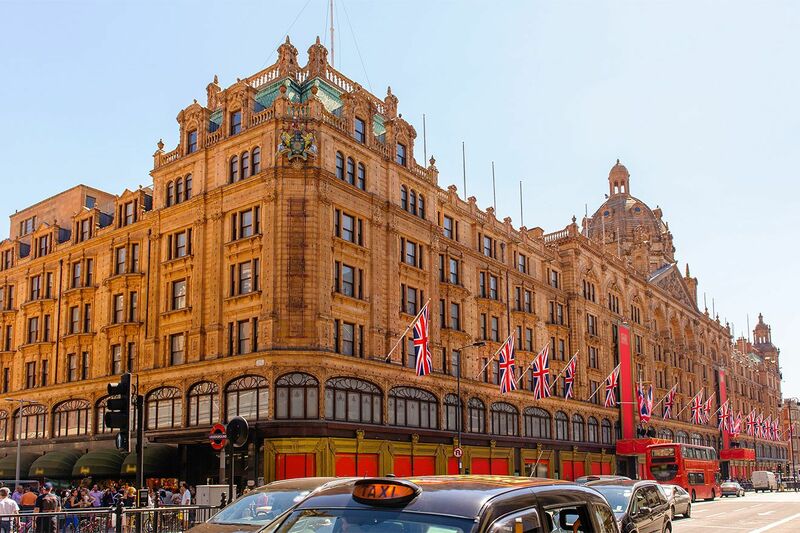 Short walk to Harrods. Two tube stops nearby. Unlimited shops in neighborhood, from Boots to Waitrose. Lots of good restaurants close at hand. Apartment: exactly as pictured. 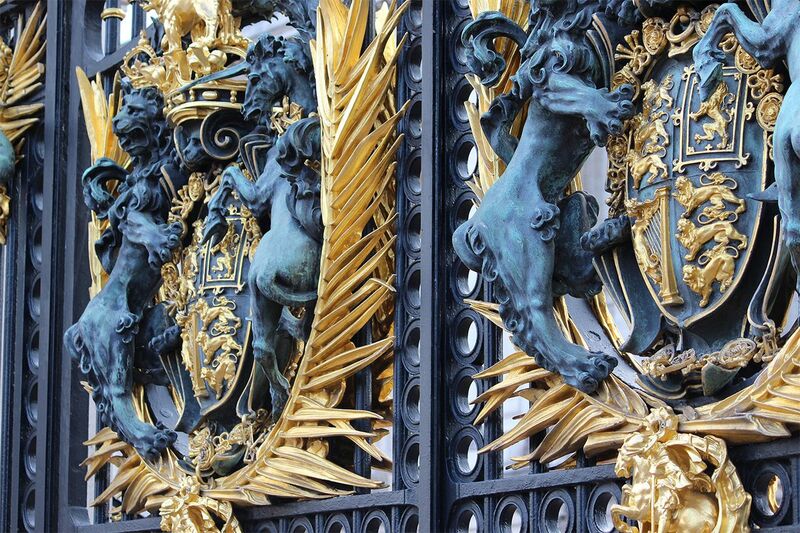 Beautiful decor from paintings to..."
"Loved, loved, loved Queen's Gate!! I was there by myself and felt soooo comfortable. Very nicely appointed kitchen. Lovely big bathroom. 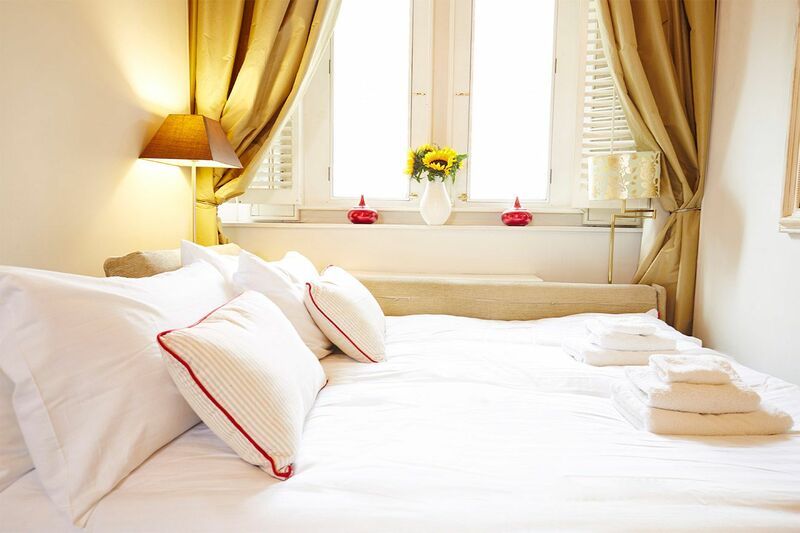 Super comfy bed with lovely linens. Yes, it's a studio but the loft bedroom gives it more a one bedroom feel. Lots of tour books and resources on the bookshelf...."
"The Queensgate apartment was excellent - very compact but ideal for two people. It was very well equipped but not at all fussy and had everything we needed. The location was great, we were really happy with it, especially being able to drop into the V&A museum whenever we had an hour to spare." "We loved the apartment. 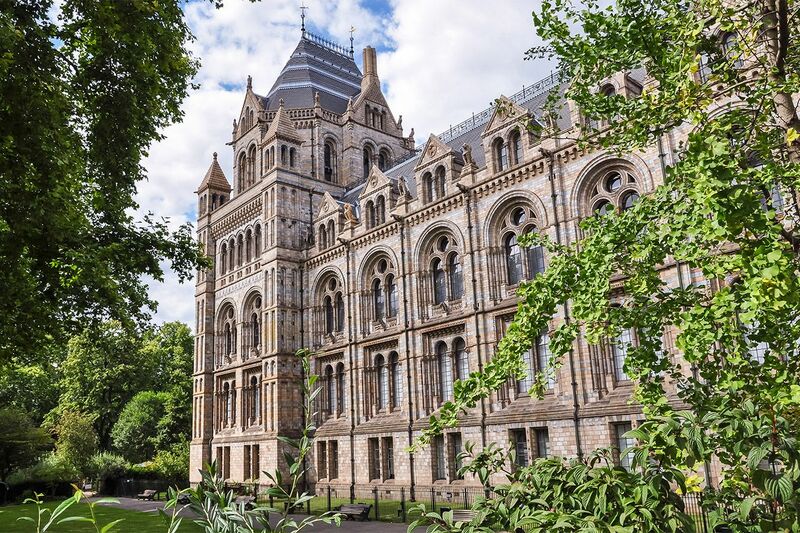 We especially loved the convenience to the tube stop (Gloucester Rd), three fantastic museums (V&A, Science Museum and Natural History) and the local restaurants and grocery stores." "My husband and I stayed in the Queen's Gate Studio apartment from May 30 to June 6, 2010. Getting there from Heathrow was very convenient and travelling around London on the tube was easy from the apartment. 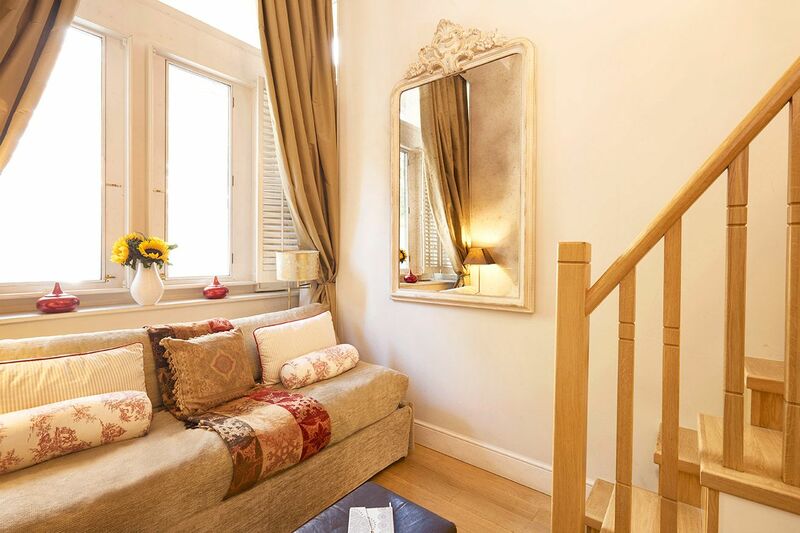 We found South Kensington to be a charming area and walked the area without worrying..."
"This is a tiny but charming studio/loft in a great location. It is elegantly furnished and comfy; way better than a hotel room, but not spacious. We really enjoyed our stay there." "We stayed for a week at the Queens Gate apartment. 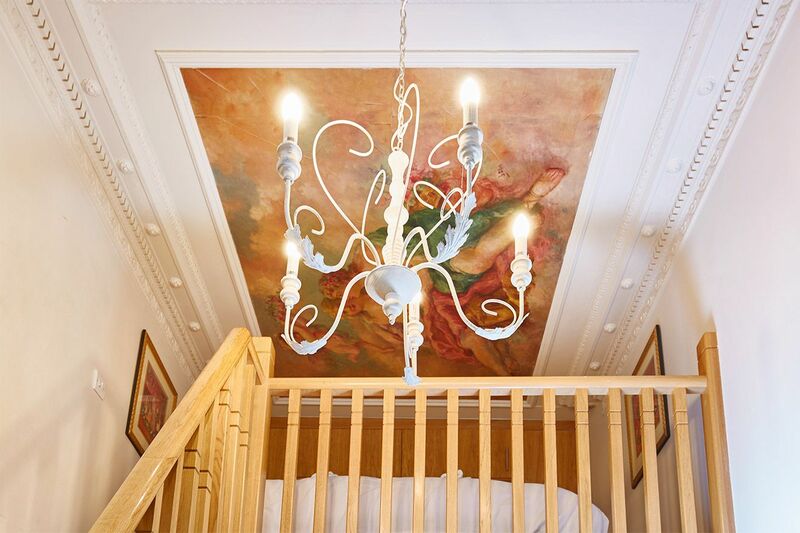 It was exactly as depicted on the website, absolutely gorgeous and a wonderful location." "My mother (75), Aunt (80) and I (49) had a terrific one week stay at the Queensgate Apartment in February 2010. The location was ideal - so close to beautiful Kensington Gardens, the V&A Museum, the Gloucester tube station, the Kensington High Street. We got to know the neighbourhood and felt..."
"Hello Madelyn, we miss London! Thanks for the use of your charming Queensgate flat. From start to finish a memorable New Year's holiday in London. Great location, cozy flat and easy to get around. We will be back! Cheers!" "This letter is about 1 year exactly since our return from London and Queensgate! We have been caring for, moving and selling the home of my father since our trip and I have just never gotten to this post. I guess the fact that I still want to post this is testament to the absolutely wonderful trip..."
"My stay was truly perfect at the Queen's Gate apartment. The design was superb! 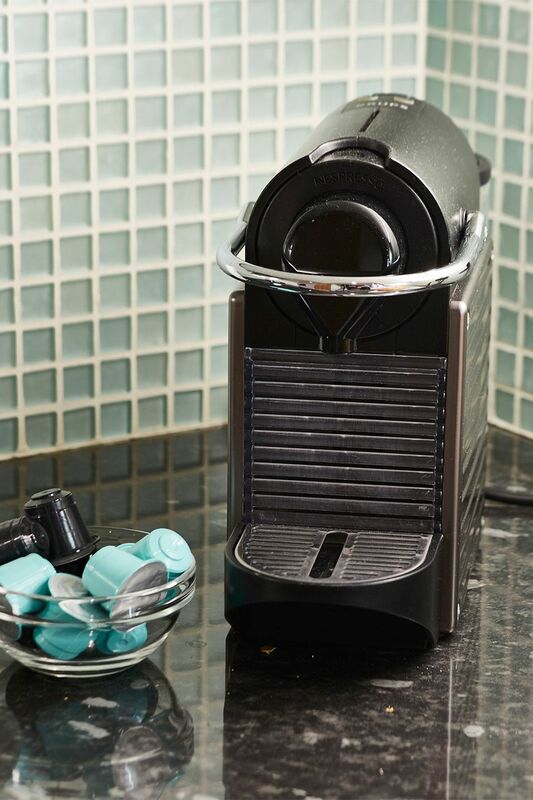 I travel frequently and so many details were not missed: premium soaps, the espresso machine, and the abundant welcome package. The bed and linens were so comfortable I had a tough time getting up everyday! Highly..."
"Just a quick note to let you know how much we enjoyed the Queensgate studio on our recent trip. It was so great to live like a "Londoner" for the week in your impeccable flat - it was the perfect size for us and the loft couldn't have been more comfortable! "I am an interior designer who has traveled extensively and has stayed in leading hotels all over the world. 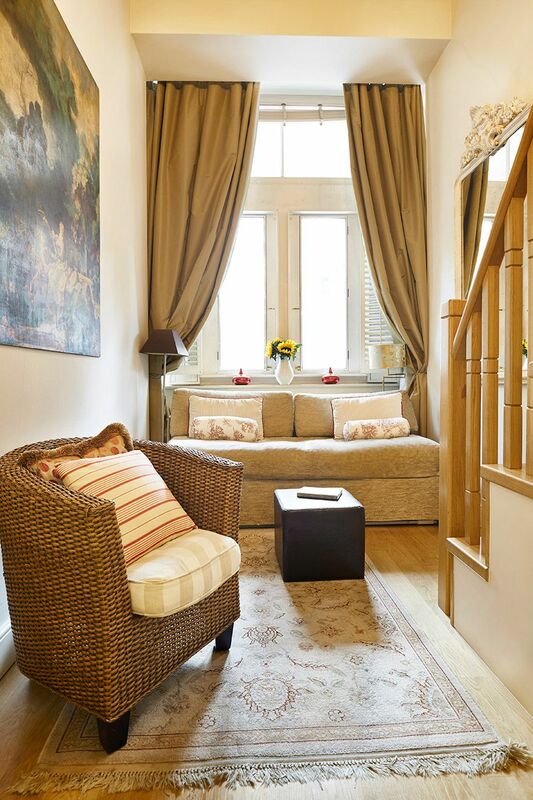 During my recent trip to London I booked a wonderful flat through London Perfect. Madelyn and Philippe were wonderful to work with and the flat was exquisite. 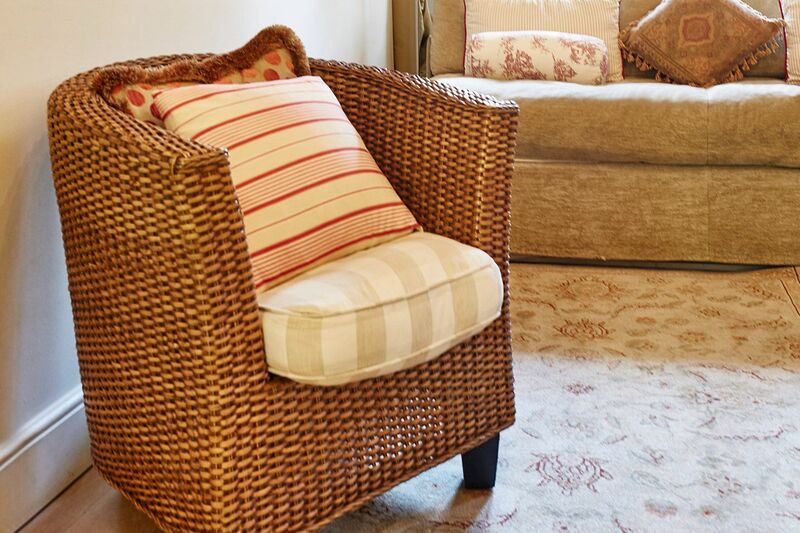 "I can't tell you how much I enjoyed our stay at the Queensgate apartment. 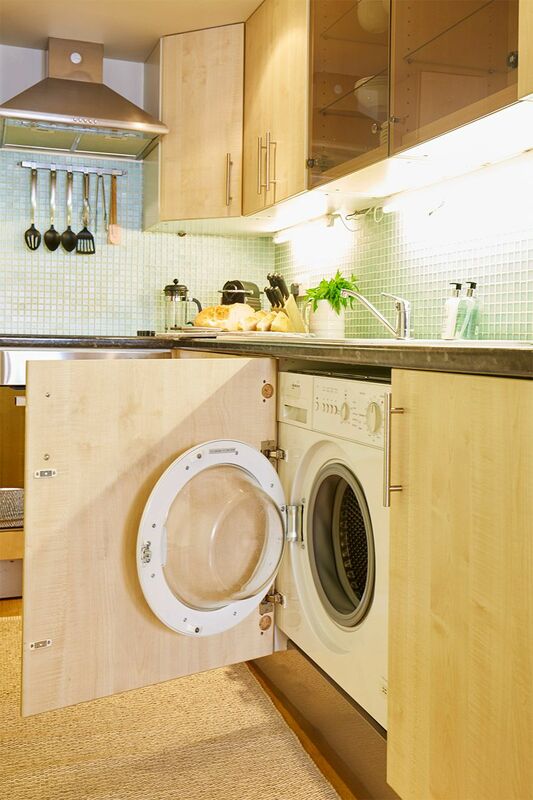 Never have I seen such beautifully inventive use of such a small space! Everything was absolutely comfortable, exceptionally beautiful, and truly perfect. 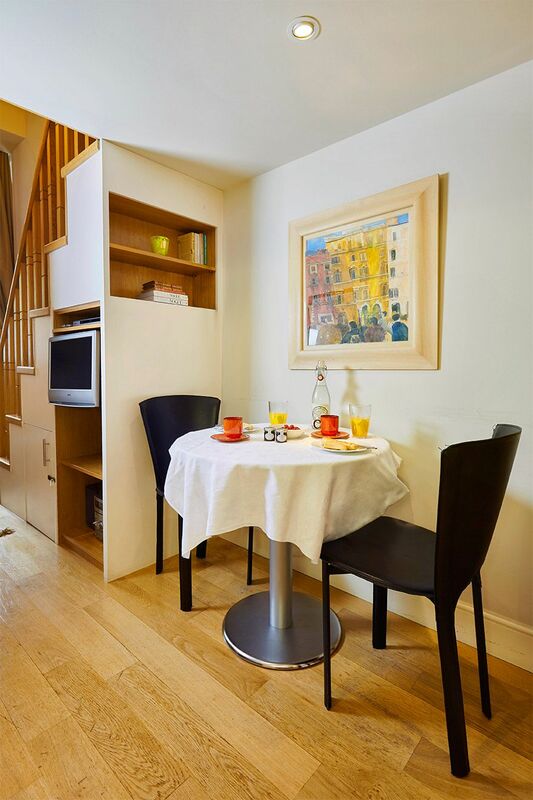 As in all of the ParisPerfect and LondonPerfect apartments in which..."
"This was our first apartment rental and we have found it a wonderful way to experience living like a Londoner. It's located in a nice and safe residential neighborhood. Many sights and museums are close by so we didn't even use the tube the first two days of our stay! Tube: Gloucester Road (5 min walk): This is one of the most convenient subway stops in London as its on the Piccadily Line, the Circle Line and the District Line. 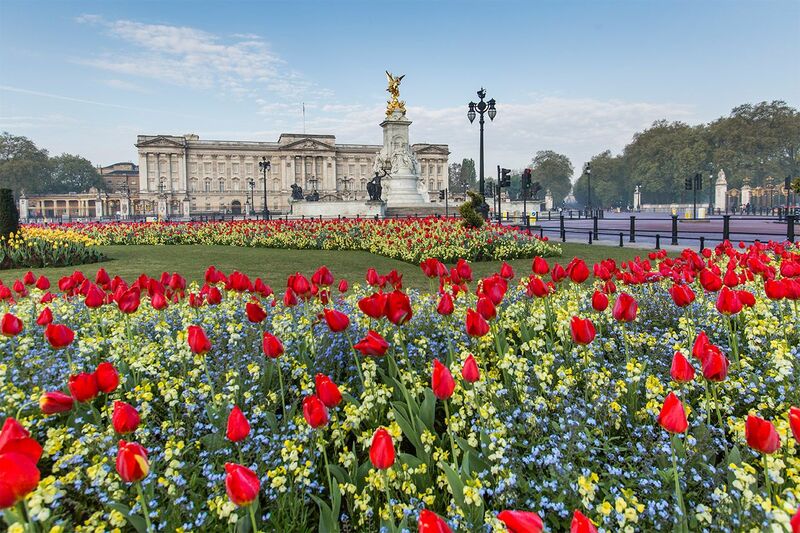 Go direct to the airport, the Theatre District, the Tower of London, Covent Garden, Piccadilly, St. Paul's, Green Park/Buckingham Palace and other famous landmarks. Welcome to this charming, compact loft-style apartment! 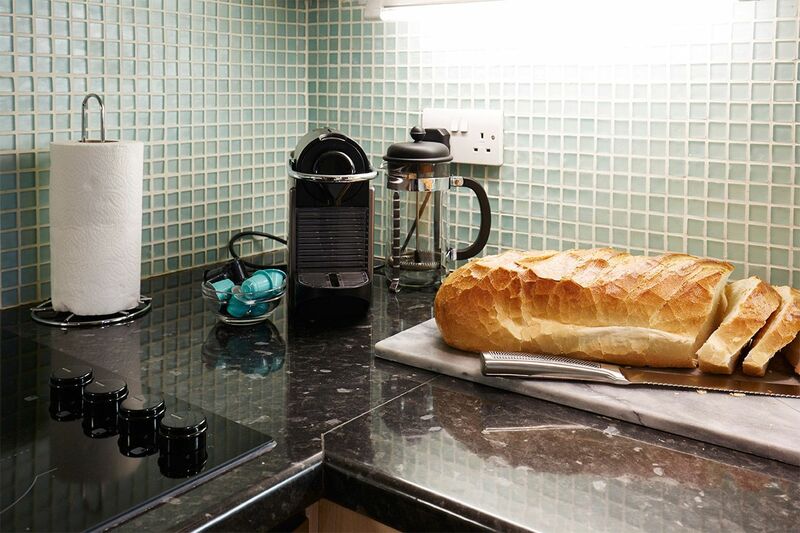 Modern kitchen has everything you need to cook up a storm! 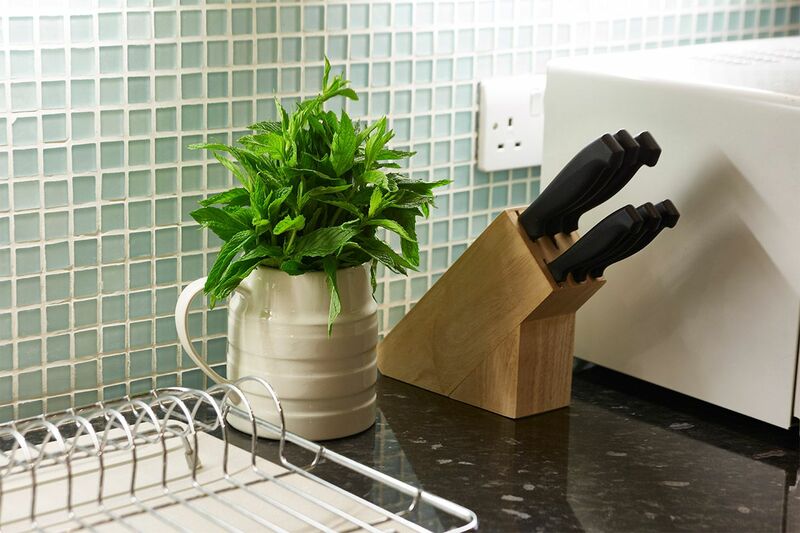 Pick up some fresh herbs from a local market to give your cooking and extra boost! Picture yourself in this lovely kitchen! Find colorful flowers from a local market to brighten your stay! Royal Albert Hall is a treat to visit if you have the chance! 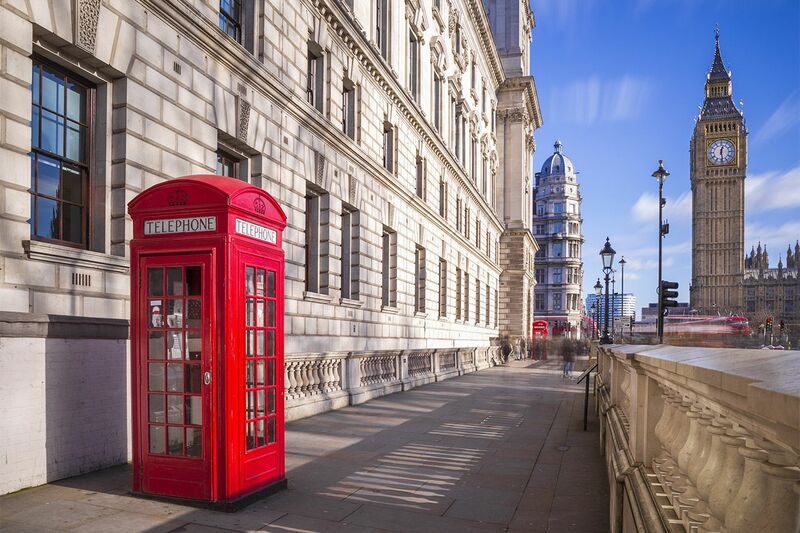 Spot the iconic red phone booths throughout the city!